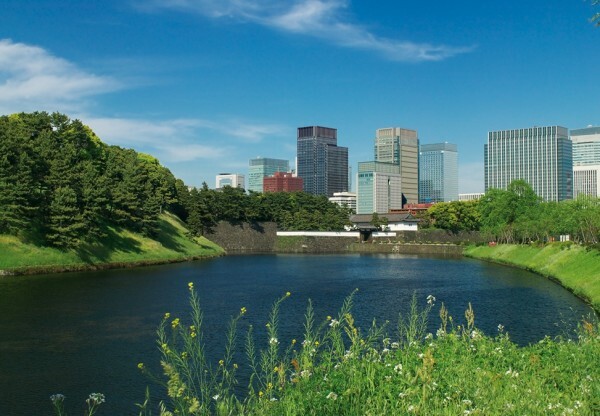 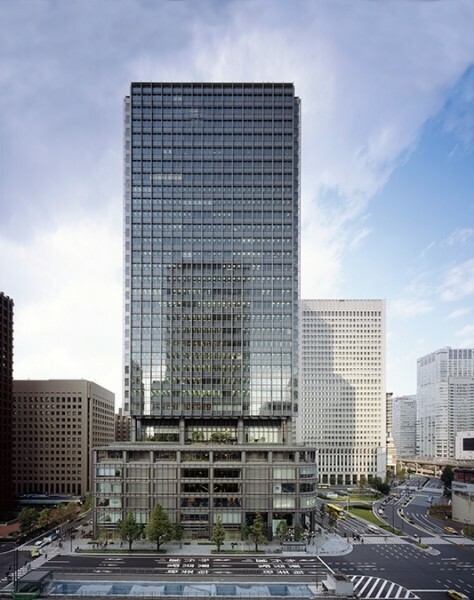 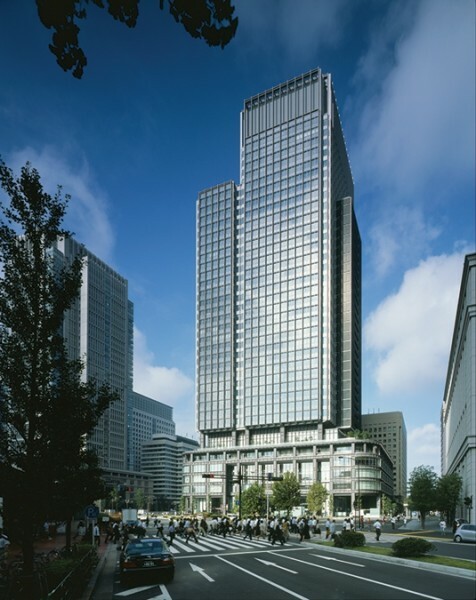 This tower stands on an extremely important site on the avenue leading to the Imperial Palace, opposite Tokyo Station Plaza (known as the Gateway to Japan), The symbolic importance of the area has resulted in strict town planning and codes which together with the commercial requirement to maximise floor space have been strong factors influencing the design for the contemporary yet formal building. 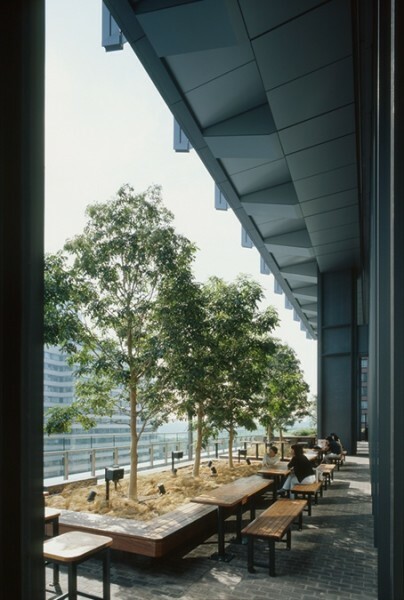 The goal of the client was to establish a new area centre by including all functions appropriate for international businesses in a mixed-use, high-rise form within a landmark urban landscape. The structure is divided into three sections - two separate towers on a single podium base. There is an underground connection to Tokyo Station Plaza. 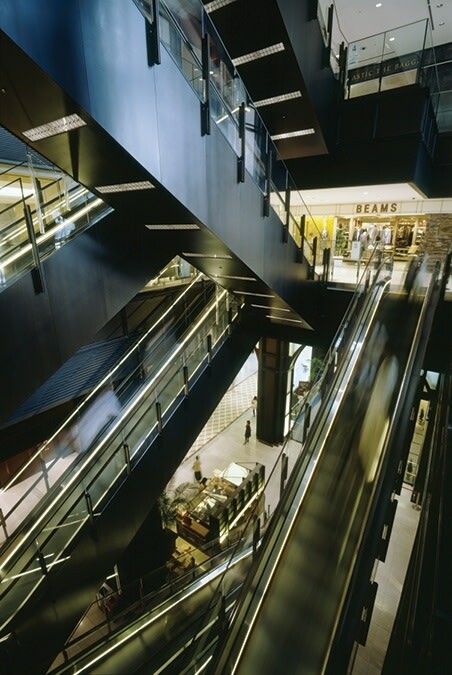 The six-storey podium houses shops and restaurants. 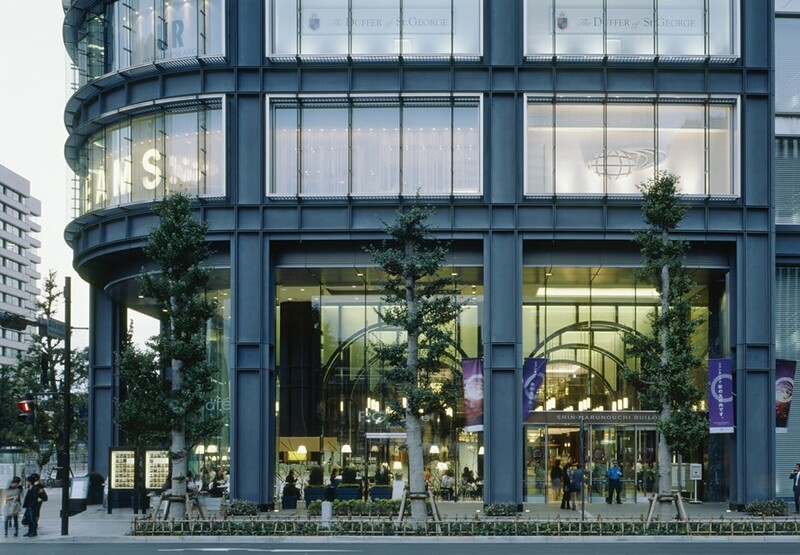 The building's west facade faces one of Tokyo's most exclusive shopping streets. 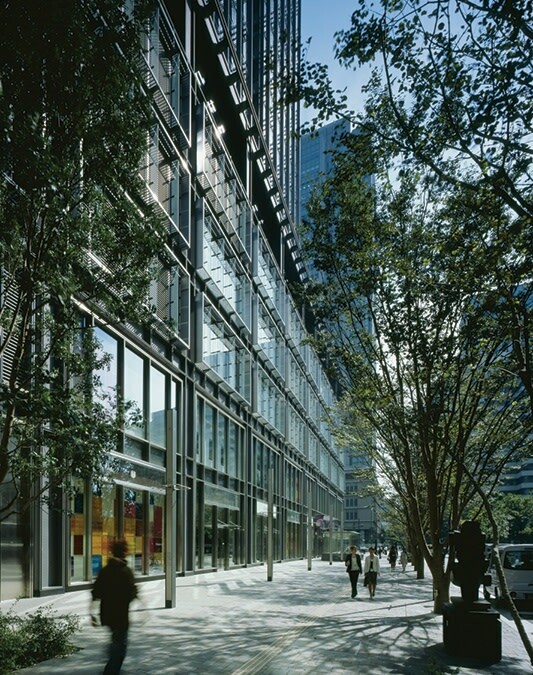 Offices in the towers house a number of leading international business tenants.